A devil-worshipping group calling itself the Satanic Temple has been working to raise funds to promote abortion-on-demand and to counter legal efforts such as the Pain-Capable Unborn Child Protection Act and 20-week abortion bans. A highly publicized ceremonial unveiling of the satanic figure of Baphomet in Detroit Saturday, an event billed as the “largest public satanic ceremony in history,” sold $25 and $75 tickets, the proceeds of which will be used to support the reproductive rights legal action fund, according to a Temple spokeswoman. The cult has also set up a donation website with Indiegogo “to challenge arbitrary, insulting abortion regulations,” which as of Wednesday, has raised more than $32,000 for its reproductive rights campaign. 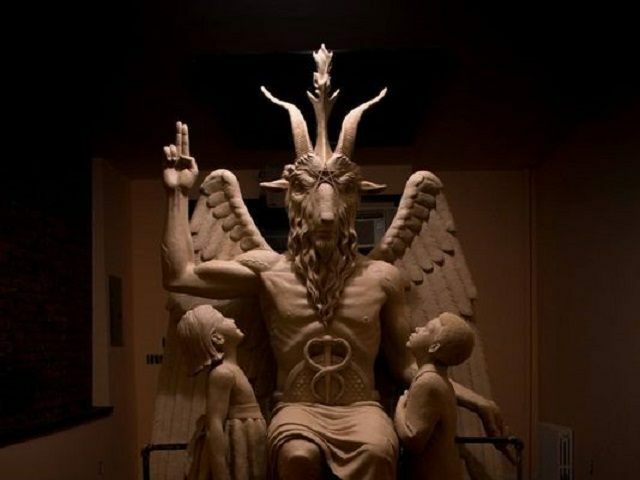 The group unveiled a one-ton bronze statue of a goat-headed Baphomet at a private ceremony Saturday in Detroit, which “hundreds” reportedly attended. Satanism has a millennial history of association with child sacrifice, which makes its financial and moral support of abortion a logical corollary to its other activities. The Israelites struggled against the worship of Baal, another name for the Phoenician god Moloch, who demanded child sacrifices of his followers and was associated with the devil. The prophet Jeremiah speaks explicitly of the sacrifice of children to Baal, warning his readers that God finds such behavior abhorrent. The Satanic Temple proposes the use of religious liberty exemptions for devil worshipers against any laws that would restrict free access to abortion at any time.